Heather Hudson had been running a successful child-care business in St. Johnsbury, Vermont for five years when she saw an opportunity to expand. A competing child-care center became available for purchase, and she wanted to buy it. But was it a good idea? Hudson needed to determine whether the purchase was a sound financial move. For help assessing the viability of the venture, Heather’s bank referred her to business advisor Ross Hart at the Vermont Small Business Development Center (VtSBDC). Hart specializes in finance and business planning. Since the purchase in 2016, Heather has grown her business, ABC & LOL Child Care Center, from 26 to 149 children and supports 32 employees. “I couldn’t have had this success without Ross’s knowledge, support, and enthusiasm,” Heather said. Hudson’s success is a win-win-win outcome for her business, families in the St. Johnsbury area, and local employers. 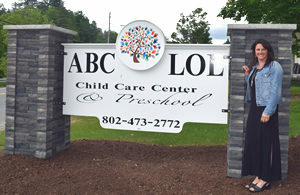 The success of ABC & LOL Child Care Center is a step forward in the statewide initiative to increase child-care options for working parents in Vermont. Vermont’s economy depends on successful business owners who provide goods, services, and jobs. But businesses can’t survive without a stable workforce. And finding reliable employees is an issue many Vermont entrepreneurs face. If we want to keep our young workforce here and attract new families, we have to make child care more accessible to working parents. Thanks to hard-working business owners like Heather Hudson, we’re 149 children closer to meeting that challenge. For more about the ABC & LOL Child Care Center, visit www.facebook.com/ABC-LOL-Child-Care-Center, and for more about the Vermont SBDC, visit www.vtsbdc.org. To find your nearest SBDC, click here. ← What Is My Business Worth?